Where there are traffic jams, there are radio stations talking about them – crowdsourcing info from unlucky commuters stuck on stagnant roads, and dispersing it to other drivers so they can avoid suffering. These stations mark a fundamental ebb and flow of modern life, reading out the contemporary equivalent of sea tide tables. And they do so not just all over the real world, but in virtual ones too. 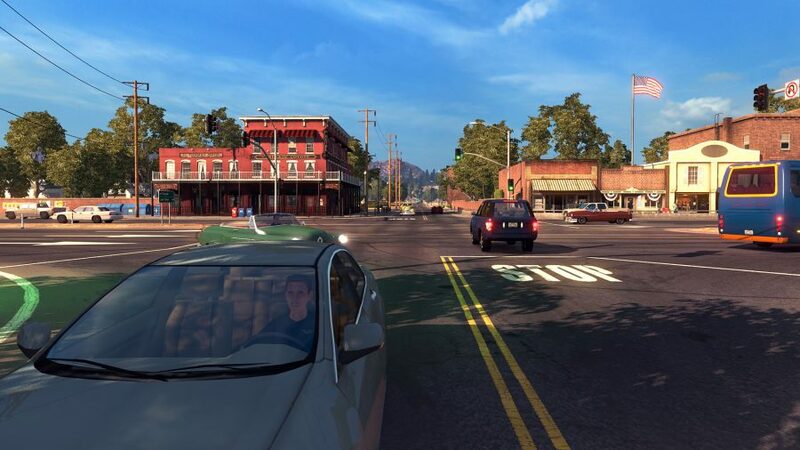 Specifically, the networks of dual carriageways and service stops that make up the Truck Simulator games. 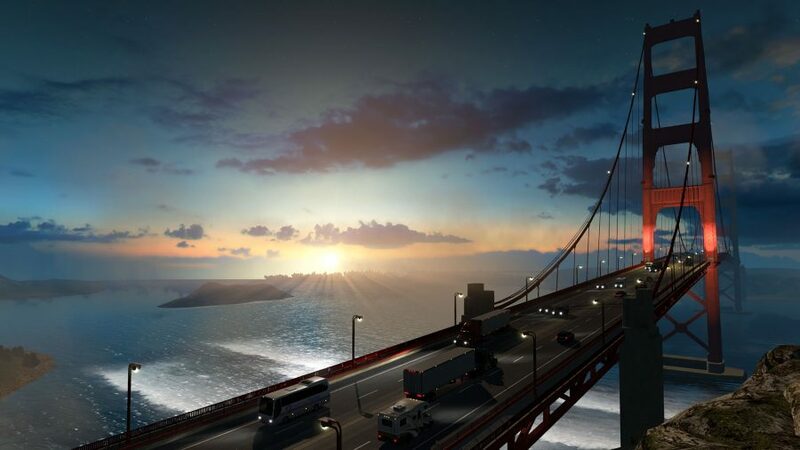 While Euro and American Truck Simulator are officially single-player experiences, offering urban serenity to the 30,000 people who play them meditatively on Steam, they’re both expanded by a popular multiplayer mod. Using TruckersMP, a subset of those players set up virtual companies together, sharing the roads and, yes, occasionally jamming them. That’s where Truckers.FM station managers Alexander and Joshua Blackman come in. “We thought it would be a really neat way to communicate with the drivers,” Alexander Blackman tells me. Neither brother had any experience in broadcasting when they set up the radio station. But they did know they wanted to run Truckers.FM at a professional standard, not as a pirate station- though that might have evoked the underground feel of CB radio communication in the ‘70s and ‘80s. Being pro meant applying for licences with copyright and royalties organisations, and as part of that, paying monthly fees and submitting quarterly reports about the music they were playing. At the start, the Blackmans and their fellow volunteer DJs tried to imagine what real truckers might listen to, drawing on classic movies like Convoy and Duel. Soon enough, however, they realised that their audience wasn’t necessarily in the game for nostalgia. As it turns out, there’s no one musical genre that unifies the tastes of teens and ageing workaholics. It’s the same realisation that finds mainstream stations funding not just endless chart playlists, but specialist shows too. Just like the big hitters, Truckers.FM consists of curated genre shows: the Top 40, naturally, but also indie music, trucking classics, and easy listening. Unlike real-world stations restricted to one region or country, who base their programming around breakfasts, rush hours, and evenings, Truckers.FM operates across several time zones. As such, they’re not trying to match their music to the time of day, but to the people who will be up when they broadcast. The development of GPS has taken some of the art out of traffic reporting, but historically, radio stations have found ingenious ways to update drivers on the roads. Some are said to have made arrangements with law enforcement to monitor highway patrol radio, getting word on accidents as early as the emergency services. “When Europe is awake at drivetime, we’ll play music that’s more suited to them,” Blackman says. “In the evenings we’ll try to cater more to people who may be in America – we have DJs from Las Vegas and the East Coast, New Zealand and Australia, covering all the time zones in the best way possible.” That daily changeover is visible in the station’s schedule, where on a Thursday, Skinner’s Afternoon Hits shifts gears into The History Of Classic Rock With Lana, and then the Texmix Request Show – the host of which sports a classic cowboy hat. That and the traffic reports, of course. The massively multiplayer mod hosts up to 12,000 players at peak times, with a potential 5,000 on each server. Those numbers are a recipe for the worst kind of jam: one heralded by a long red line on Google Maps, a dramatic deceleration, and a similar lurching feeling in your chest as you realise you won’t be home to watch the soaps. 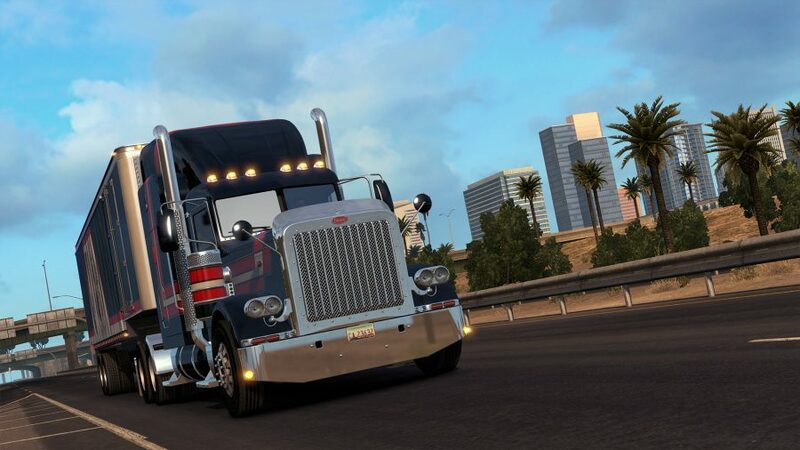 Truckers.FM takes its traffic information from dedicated websites made by the fans. Like anyone else, DJs can log into ETS2map.com and see every truck represented by a tiny black rectangle, trundling about the simulator’s facsimiles of popular transport routes. Watching the traffic coagulate around one particularly busy roundabout in Calais is reminiscent of the rehearsed transit plans in case of a no-deal Brexit. As Truckers.FM has become more successful, the crash barrier between its digital world and the one its simulates has been more and more frequently knocked through. 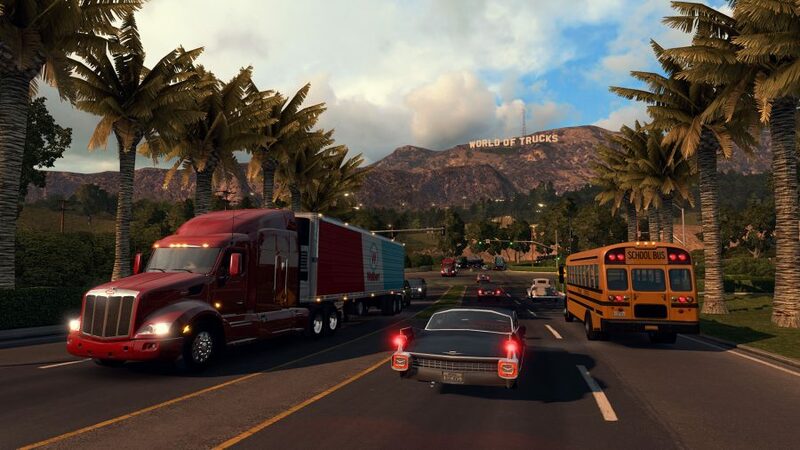 The station has partnered with a real-life trucking company for giveaways, and attended TruckFest – Europe’s largest event of its kind – alongside Truck Simulator developer SCS Software. “We’re really at that point where we’re starting to take off and other, bigger industries are starting to recognise us,” Blackman says. 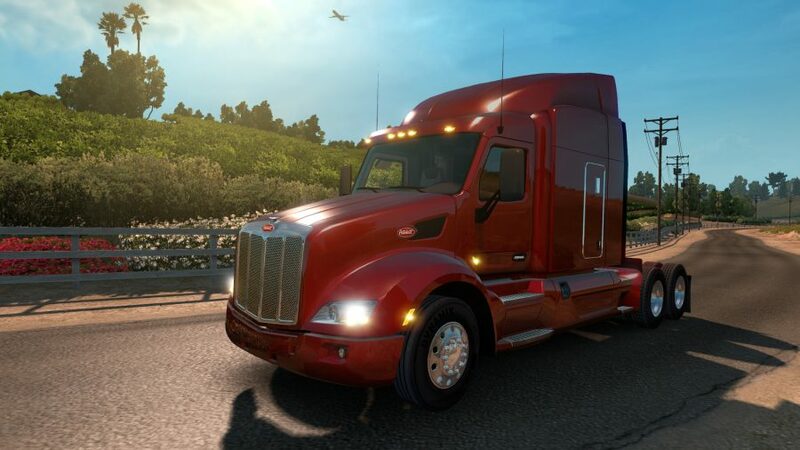 Perhaps unsurprisingly, Blackman’s way with a shoutout made him perfectly suited for handling Truck Simulator’s marketing and PR full-time at the studio’s HQ. He’s now considering a radical rebrand of his own show, the London Takeover. After all, he’s moved for the job.